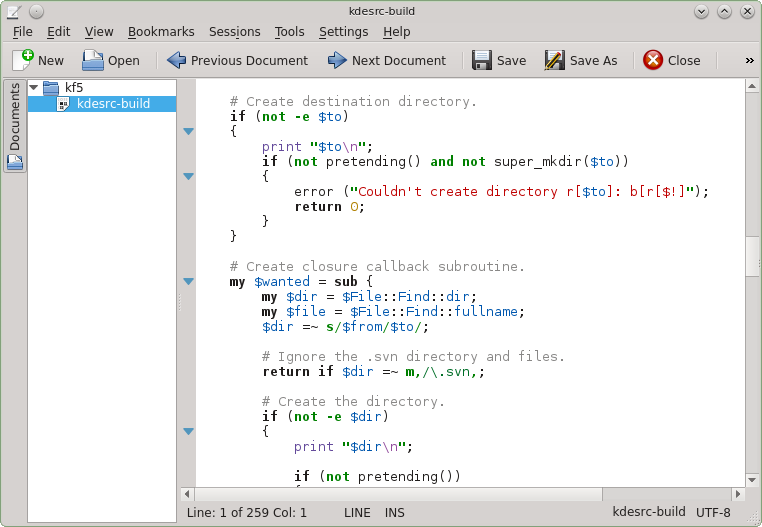 After the initial porting of KTextEditor interfaces and KatePart, now the Kate application itself runs on KF5, too. That means now all stuff in the “frameworks” branch of kate.git beside the “addons” directory containing plugins/plasma stuff at least compiles and launches with KF5. Now the question is how we handle further development. Shall we switch to “frameworks” for all major stuff in interfaces/part/application and only let feature work be done in the “master” branch for addons (which we then can port later on)? In the Qt development, every new feature must go to the dev branch from 5.x. When that feature is stable enough, then it is backported to 4.8.